This week we will be discussing our kids’ parties in a bit more detail. We think that we’ve got the idea that will get your youngsters grinning on their special day. 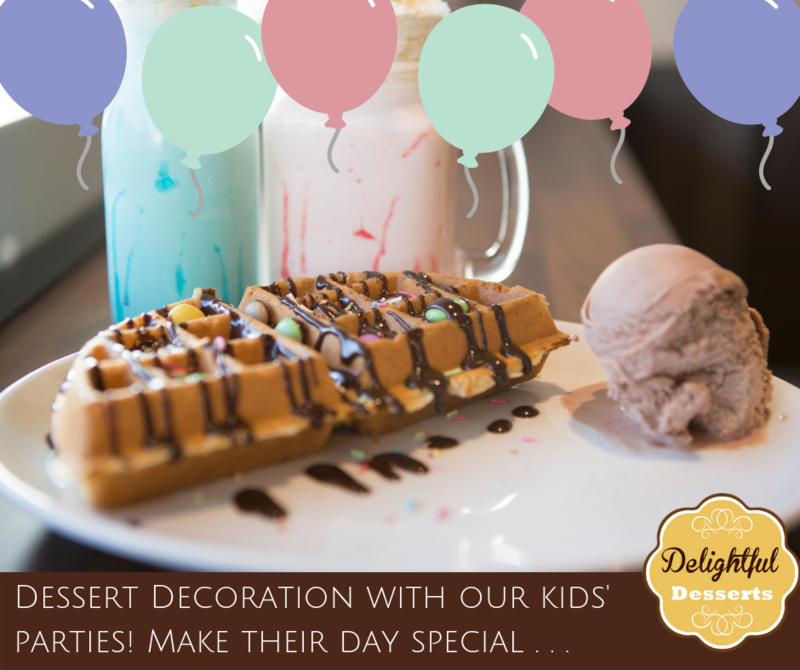 Our delightful waffle/crepe decorating parties are simply the best! 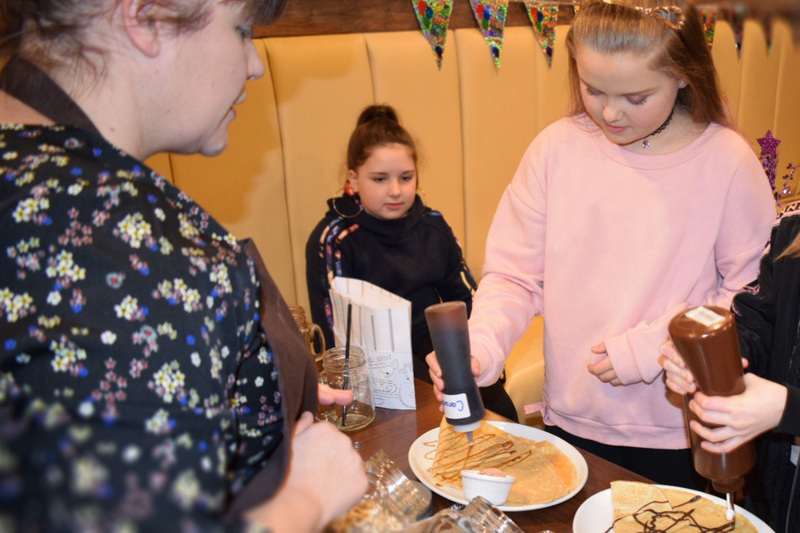 The party designs their own waffle/crepe with a choice of their own toppings and sauces before tucking into their tasty, tasteful creations. Equipped with chef hat and imaginative minds, who knows what will happen! Every birthday party we throw is as unique and wonderful as the next. All the fun, none of the fuss! We really mean this. We will decorate, provide the entertainment and get the whole party sweet and sugary! So what are you waiting for? Give your child and their friends a day they will never forget. Coolest kid in school? We think so. 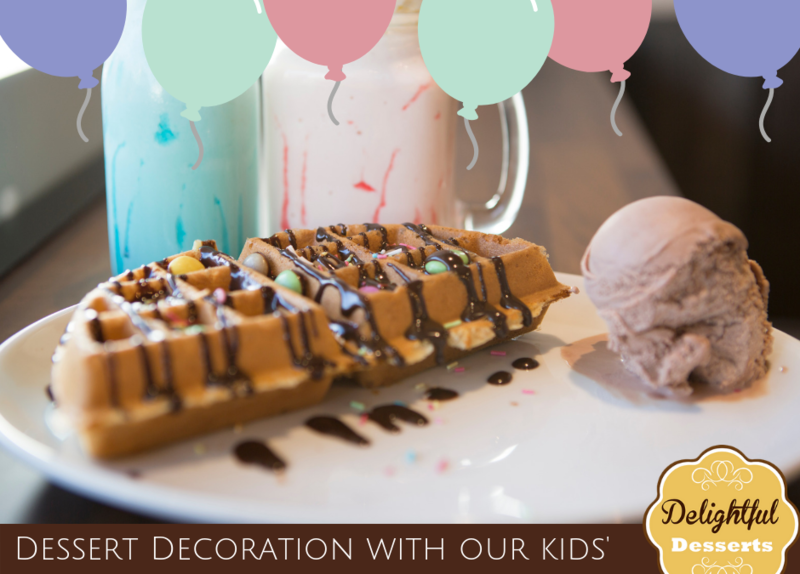 We all know kids love a bit of competition – that’s why we award a certificate to the best-decorated dessert. The birthday boy/girl gets a free slice of cake! We can arrange a party to meet your individual requirements. If you fancy an entertainer, one of our delicious cakes to lighten up the day, or special request decorations for that extra special touch; we will ALWAYS go above and beyond to make that a reality.